You can play Netflix movies in your web browser from any version of Windows, but Windows Vista Home Premium and Ultimate can even stream Netflix right from the desktop through Windows Media Center. When you use Windows Media Center to watch Netflix, you can view movies and TV shows on not only your computer but also your TV, if you set it up to connect to Windows Media Center. Windows Media Center isn't supported in every version of Windows, and some versions that do have it are different than the edition included in Windows Vista. This is why you can't watch Netflix from Windows Media Center in Windows 10, Windows 8, Windows 7, or Windows XP. To start, open Windows Media Center and locate the Netflix icon. If you don't see it, go to Tasks > Settings > General > Automatic Download Options > Download Now to get the Netflix WMC installation package. Once you do that, restart Windows Media Center. Choose the Open Website button. Click Run to launch the Netflix Windows Media Center installer. You might see a security message from Windows. If so, just click Yes or OK and continue the process. At the "Install Netflix in Windows Media Center" screen, click Install Now to install Netflix. Click Install Now on the "Install Microsoft Silverlight" screen. Choose Next when you see the "Enable Microsoft Update" screen. 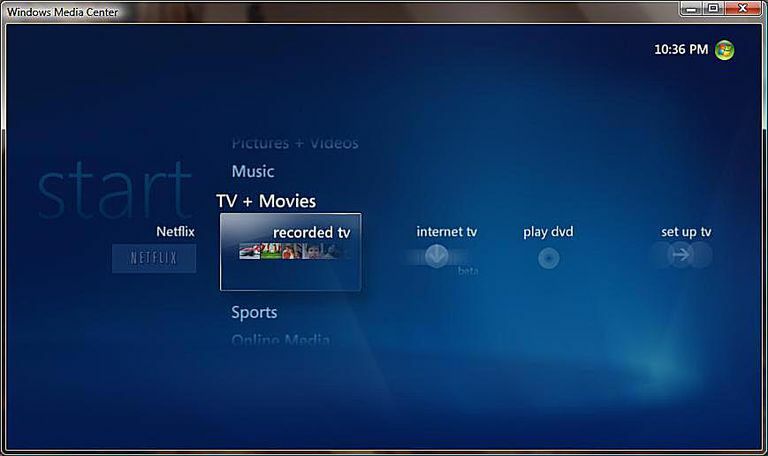 Click the Finish button on the "Restart Windows Media Center" screen. When WMC restarts, it will open the Netflix login screen. Enter your username and password, check the Remember Me box, and click Continue. Select a title you want to watch. If you haven't yet set up a Netflix account, the screen at Step 2 also gives you that opportunity, or you can go to Netflix.com through your web browser. Select a Movie and Watch It. Click Play to begin the movie. At the "Netflix Sign-In Required" screen, click Yes. The movie will start playing in Windows Media Center. Adjust the WMC settings to your taste and enjoy the movie.